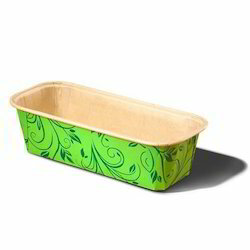 We are offering Plumpy Green Ecopack. Bring a royal touch with luxurious handmade paper baskets, whose red color base is aptly complimented by the golden ribbons. 100% Handmade recycled paper product. Used as Office and Home utility. Availabe in Natural and desired colours. 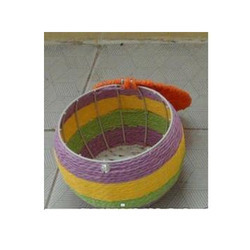 Hand Woven Square Baskets: Multipurpose , Eco-friendly products made of hand woven news paper rope baskets. Can be used in Kitchen, Office, and Bed rooms. Available in delightful colours. Natural (No Color) Baskets will be varnish coated. - Heavy Duty Conductive Waste Paper Basket. - For Office And Production Area. Our company has gained name and fame in presenting Newspaper Storage Basket. - Material: Paper Product Environmental, Non-corrosive, Non-allergic, Non-deformation. - Craft : Shiny finished Color / Brushed Finished Color.